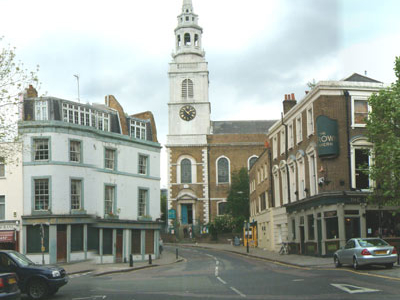 St James Church, Clerkenwell, is an Anglican parish church in Clerkenwell, London, England. After several years of declining attendance, the post of vicar was taken over in 1998 by the current incumbent, the Rev Andrew Baughen, son of the retired Anglican bishop, Michael Baughen and congregational numbers have recovered and the church is still growing. The church's motto is "Community, Discovery, Engagement" meaning "all people matter to God and ought to matter to us; no previous experience; from head knowledge to life transformation". The church maintains its Low Church tradition aiming to teach faithfully and accurately the word of the Bible unfettered by the distractions of tradition and ceremony. This is reflected by the lack of use of robes, altar cloths, candles or liturgy. The church has made much use of technology in its attempts to be accessible to everyone, including the recording and internet publication of bible talks, an in-church audio and video system, and live video-links/webcasts during services. As part of a wider evangelism program the church hosts two evangelists associated with the London City Mission. Here's the our members favorite photos of "Churches near London Borough of Islington". 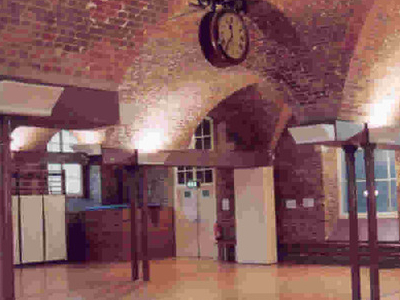 Upload your photo of St James's Church Clerkenwell!